Marketing is a make or break area for business. 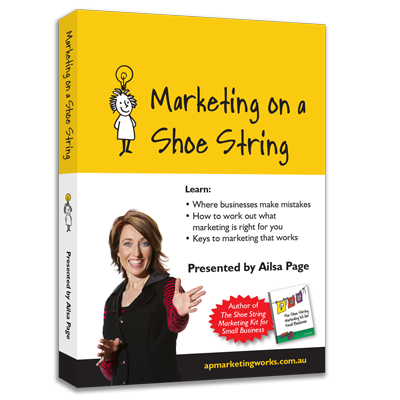 Listen and watch this DVD on Shoe String Marketing where the Marketing Dynamo Ailsa Page from AP Marketing Works explains what is involved in getting marketing right. Duration 50 mins.